The Irish language is the main language that was formed on the island of Ireland. The other languages largely came from other people settling in these lands. While a sizable percentage of people in Ireland can speak or understand Irish (about 42%), it is not the first language of many people today. The Irish constitution names Irish as the national and official language; Irish is also considered an official language of the European Union. Irish is an Indo-European language that has Celtic roots. Many people take pride in the Irish language, and consider it a vital part of Ireland’s traditional heritage and culture. The areas of Ireland where people predominately speak Irish are called the Gaeltacht. It is not a concentrated region on the island, but is several areas spread throughout, mainly on the western coast. Some counties in the Gaeltacht include Donegal, Mayo, Galway, Kerry and Cork (but not the entire population of these counties speak Irish). There is also a small part of Dublin called Gaeltacht Quarter where people speak Irish. Written Irish today uses the Latin script, and the traditional Gaelic script is rarely used. There are a handful of Irish language radio stations, as well as a few television shows. English has been the predominant first language in Ireland since the late nineteenth century. This language started to come to Ireland in the 12th century, but it was not very widespread until hundreds of years later. English started to be spoken in Ireland by people in business, trade and upper classes, who viewed the Irish language as backward and for poor people and farmers. English became more widespread in the education system by 1850, and as more students started enrolling in school, more people adapted the language. There was also a widespread diaspora of the Irish people around this period, due to the potato famine, which subsequently led to the decline of the Irish language. English is today the most commonly spoken and understood language in Ireland. It is dominant in most spheres of communication, including newspapers, radio, television and education. 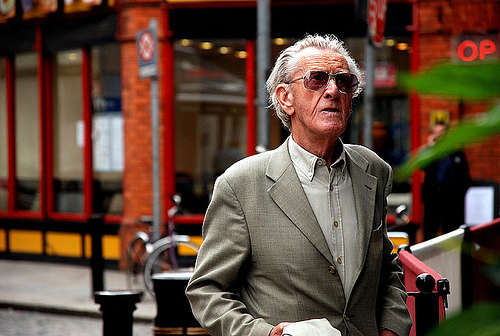 About 94% of people in Ireland speak English. The main forms of English in this country are Hiberno-English and Mid Ulster English. Ulster Scots is spoken in select parts of County Donegal, which is in Northern Ireland. This is a Germanic language, but linguists debate if it is a distinct language from the dialect of Scots. Shelta is a language that is spoken by Irish Travellers. About 6,000 people speak Shelta in Ireland, and there are over 80,000 Irish Travellers in the international diaspora that can also speak it. Shelta is a cant, in which people used to use it as a secret language to exclude outsiders. It is similar to Hiberno-English and Scots, but is influenced by the Irish language. Some major immigrant languages in Ireland include Greek, Polish, Lithuanian, Cantonese, Mandarin and Arabic. There is a Gaeltacht quarter in Belfast but not in Dublin. There are MANY Irish-language schools outside Gaeltacht areas, so more and more young people comfortably bilingual. Irish language television station, TG4, in addition to radio stations and two weekly newspapers, and some Irish language content in the predominantly English language media. Ulster Scots is spoken by the descendants of 17th century Scots planters (colonisers) who retained a British identity and so resisted the notion of Irish independence – hence partition and the creation of Northern Ireland, which is where they are concentrated. County Donegal is in the geographic north of the island of Ireland, but not in the political entity of Northern Ireland. Much of it is Gaeltacht. “Shelta” is a term used solely by academics. Travellers speak either Gammon or Cant, neither of which is a “cant” in the sense of “made up secret language”. Together these languages are spoken by 25,000 people in Ireland (that’s how many self-identified as Traveller in the last census) and many more abroad. Polish is by far the most widely spoken “new” language in Ireland. At one point a couple of years ago our sole national evening paper published a 12-page weekly supplement in Polish. Although many Poles have left now that the economy has nosedived, there are still plenty around: for example my local supermarket has signs up in English and Polish reminding customers to use a basket or trolley.